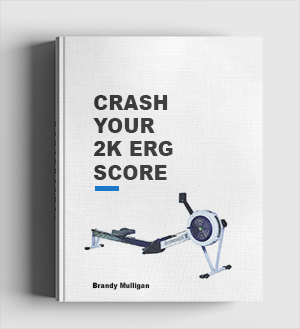 This is part 2 of a series of articles about specific 2k erg test strategies for particular rowing athletes who are not suited to doing the standard 2k race plan. The first 2k article looked at sprinters and how they should approach a 2k erging race differently from other types of rowers. This article looks at rowers who are more suited to (and prefer) long endurance type rowing and workouts. 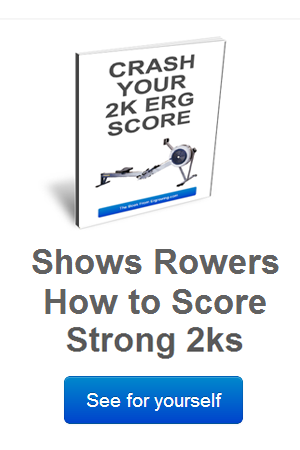 If you think that you are an endurance rower then this is a good way for you to approach a 2k and get the best erg score possible for you. Go off hard but settle down very early (after around 10 – 12 strokes). Like most endurance rowers the percentage difference between your sprinting power and average race power is probably not all that much. So when you settle down into your race pace rhythm you should aim to set a power that is the maximum possible for you between 1900 meters and 100 meters to go. It is better when you are an endurance rower to not vary your power or rate very much in the middle phase of the 2k. Endurance lends itself to a constant high, steady power output for most of the test. Remember endurance rowers are very different to sprinters who are capable of varying their power a lot during the middle part of the race. Endurance rowers can tolerate an unbelievable amount of hardship for long periods of time. And remember that you are not a sprinter so you should not do what they do. This is 1800 meters of absolute endurance bliss. And you must Red line it. If you do it right you will suffer hard but it’s what endurance rowers like and enjoy – Long and Hard. Do not go for pushes or power 10’s because you are not genetically geared for it and you will probably have a physical and mental meltdown. In fact, if you do it right you shouldn’t even want to do power 10’s because your rhythm should be so strong and deep that you would be in an unbreakable zone. As you go through 500 meters to go, don’t even blink. Just keep working hard in your zone and in your rhythm. With 100 meters left on the monitor you should try and sprint. But you may not be able to just like many extreme endurance ergers because you will have played the average power game and played to your strengths. But timing and regulating your energy systems are crucial for the success of this approach for you. Knowing your body and mind well will help you arrive at the finish with just about enough to hold on. Above all else, choose a middle base power that is sustainable for the entire 2k. 1900 meters will not cut it and you could end up loosing 1 second or more in the last 100 meters. On the other hand if you are too conservative with your power and you decide to sprint, you will not get the most from your natural abilities. I mentioned at the end of the first article that both sprint and endurance type rowers should direct their their training so that they become better all rounder’s more suited to doing 2k ergs. Remember rowing is around 70% aerobic and 30% anaerobic. So if you feel like you are not in this area, adjust your training so that you become geared better towards the 2k erg. I cannot emphasise this advice enough because if you want to get fast 2k erg times in the long run, sprinting and endurance alone won’t cut it. Have you ever wondered about the rowingworkouts you are doing day in day out? Ever wonder if they are designed to help you actually win a race. 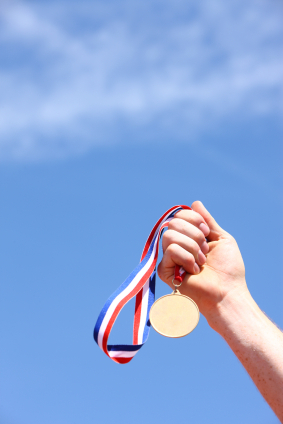 Late in rowing races is often the time when the outcome is decided and it’s often down to the looser actually breaking, more than the winner actually winning. But you can learn to win close races by preparing physically (and by implication, mentally) with specific workouts designed to get you familiar with severe pain tolerance – simulating the late stages of a race. But you should treat the following workouts with caution. Because of the heavy demand physically and mentally they will place on you, they should only be attempted when you are feeling relatively fresh and rested. Use them once a week at most and treat them with the degree of seriousness that race winning knowledge deserves. This is really tough training. Perfect for a controlled rowing environment like the erging. Your Threshold Power(TP) is the power you could hold for 20 – 30 minutes all out. I first came across this type of training in the Lance Armstrong Performance Program. And the first time I tried it I was only able to do one 12 minute set. It was extremely difficult but after 3 – 4 weeks I was pulling 2 x 12 minutes with a 5 – 7 minute break between sets. Take it a little easier for the first couple (maybe 1:46 in the under over example). The accumulative interval will start to really hit home for the final 2 sets. This is race winning territory. You are burning, you’re tired and the 5 minute rest is not enough to recover. Dig deep and always finish hard to the line. I have mentioned elsewhere about vo2 max boosting rowing intervals. But here is a different erg workout which again tests you in race winning territory. Each set should be done with a proper racing start and a short sprint to the line. This is severe training and is as much mental as it is physical. This workout should only be attempted once per week for a few weeks before an important race or test. When done properly your lactate tolerance will go through the roof – and your ability to win close races will rocket with it. P.S. Thanks to Steve for pointing out the error in the Under-Over Workout – The correction is 4 times 3 minutes (12 minute workout).